Enjoy impressive 5.1 surround sound with solid bass. Treat yourself to full-bodied 5.1-channel sound at a price you can afford when you get these compact Logitech Z506 5.1 PC Speakers. Featuring 75 watts of output and useful multiple inputs, this speaker system is great for connecting to PCs, DVD or Blu-ray players, games consoles, iPods and more! Even standard two-channel sources will fill the room with surround sound thanks to the immersive audio performance of the Logitech Z506 speakers. With the addition of this ported, downfiring subwoofer delivering rich, grounding bass, your games, movies and music will sound fantastic. 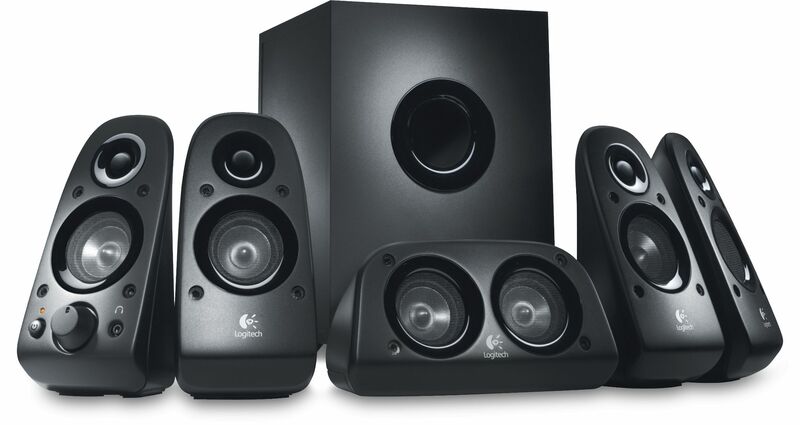 Offered here in a black finish that will complement any AV system, the Logitech Z506 5.1 PC Speakers from Logitech offer a powerful surround sound experience that is within reach of most budgets!